Jamie Rice joins the show today to describe how he made the career jump from engineering for the U.S. Navy to investment management. The chief investment officer for his firm, JQR Capital, Jamie specializes in serving individual investors, adventurers, and small businesses. You’ll learn how he earned the right to use the CFA designation and the importance he places on truly caring for his clients. Listen in to hear how Jamie uses a sailboat in his business and the parallels he has found between financial planning and being out on the water. You'll learn his unique take on financial planning and investing, as well as what he has learned from his experience of starting his own firm. An overview of Jamie's career. What caused him to make such a massive career change. What acquiring the right to use the CFA designation entails. How Jamie's fee structure works. What pushed him to start his own firm. How he uses his love of sailing in his business. What he wants for his business in the future. The importance of believing in yourself. Is bookkeeping a major pain point for you? If so, you’re not alone. Many financial advisors hate bookkeeping, and guess what? They’re often terrible at it too! Enter the Bean Team at FA Bean Counters, powered by XY Planning Network. 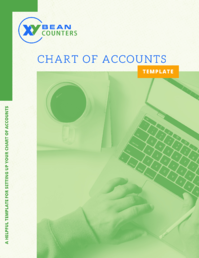 Their free Chart of Accounts Template will help you tackle one of the most basic, but often incorrectly done, bookkeeping tasks. Visit fabeancounters.com/xypnradio to download the template and learn how to set up your Chart of Accounts like a pro.